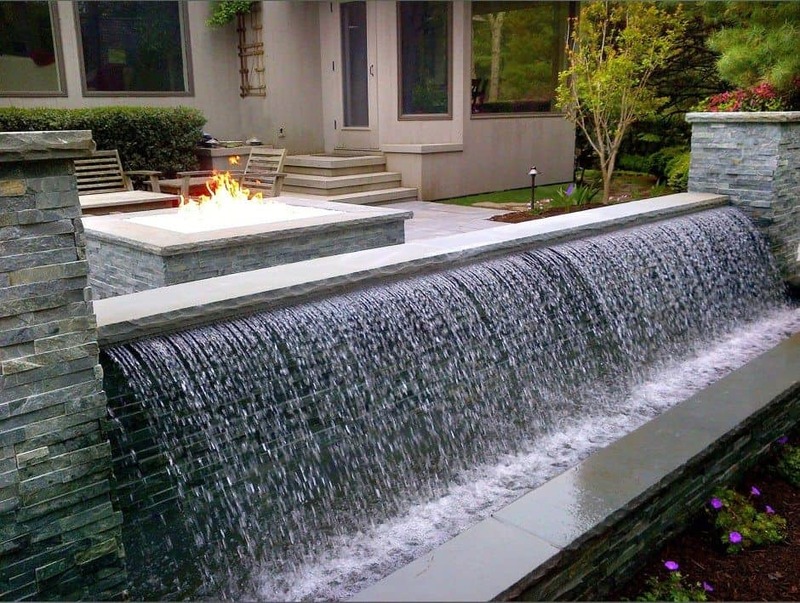 This custom 13 ft. Zodiac Pool Systems, Inc. Sheer Rain Waterfall provides the soothing sound and shimmer of falling water. With our precision installation, the rain effect is achieved by the individual streams projecting out in a 45 degree arc, creating an extraordinary sensory experience. Also featured is our custom 5 x 6 ft. Fire Pit.